not a lot of retailers do cruise collections for men, but gucci is one that consistently does it for the past few seasons. i find "cruise" to be really poncy, it's essentially pre-spring, a small collection to tide us over until the full spring summer collection arrives in stores around february to march. i really like the whole look from above gucci's pre-spring 2011 collection. 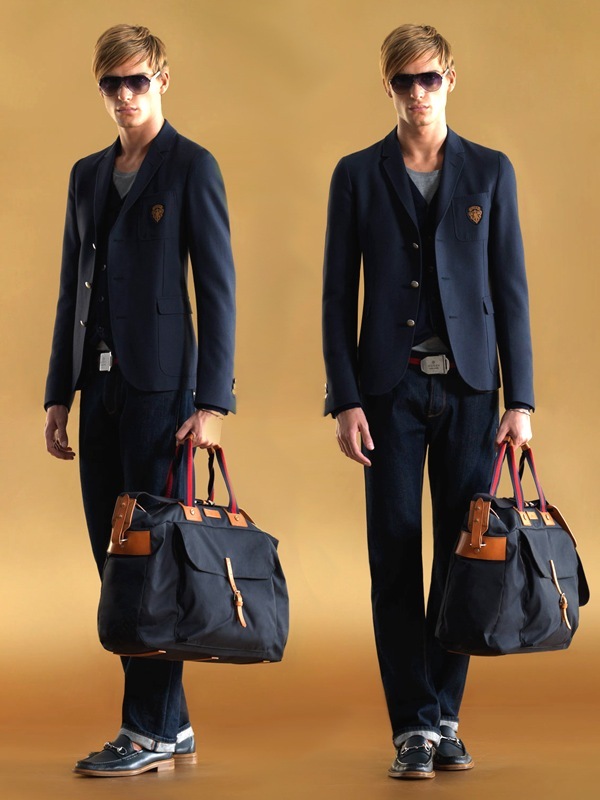 love the schoolboy blazer which is a classic, and i'm equally drawn to the cotton bag too. 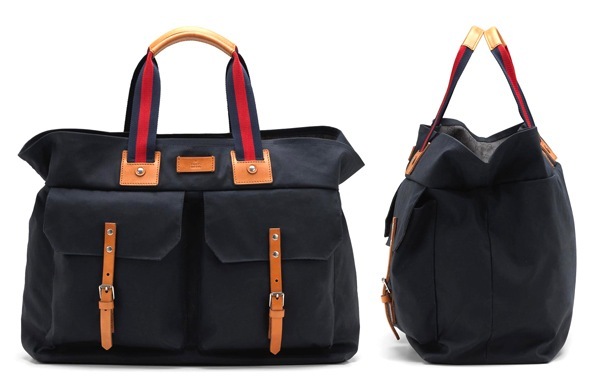 it looked like the perfect in between size when compared to a weekender or everyday bag. i honestly think it looks great, and i will get a lot of use out of it. the lookbook pics above showed the bag with a shoulder strap as well as leather detailing on the sides. however these details are missing from the actual bag being put into production, which is quite a shame as those detailings really adds to it. in addition, the bag does look a little "ally capellino-ish", and not exactly impulsive-friendly when it's retailing at £745. so a little yay, a little nay. still prefer the lookbook version. It is also strange how the lookbook version has only 1 front pocket, but the actual piece comes with 2. Now that's a drastic change. i actually did not notice the pockets, i was too caught up with the missing strap and side details. takes a bagaholic boy to notice all these details!